Okay, don’t kill me but I’ve already started Halloween crafting. If I don’t start now, I’ll never get it all done. First and foremost, I have to be clear, I LOVE Halloween. It is by far my favorite holiday of the year. It’s so fun and the decorations are even more fun then Christmas. 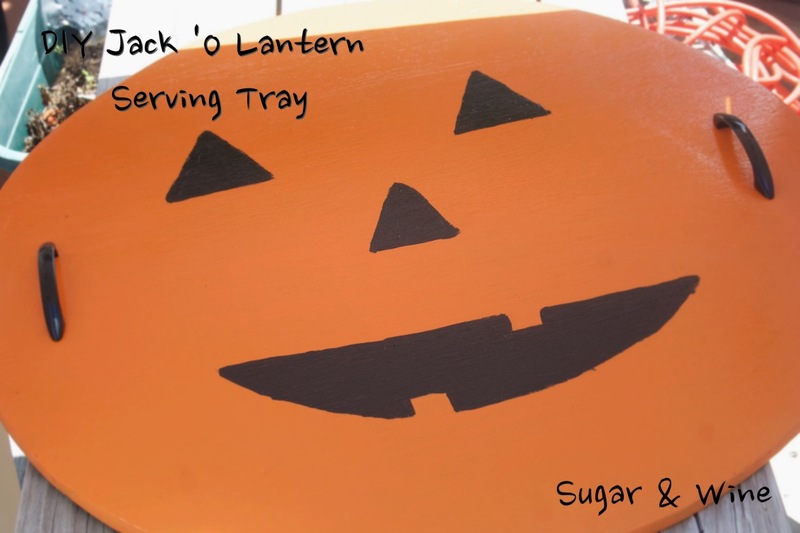 One of the first projects I am worked on is this DIY Jack O Lantern Serving Tray. 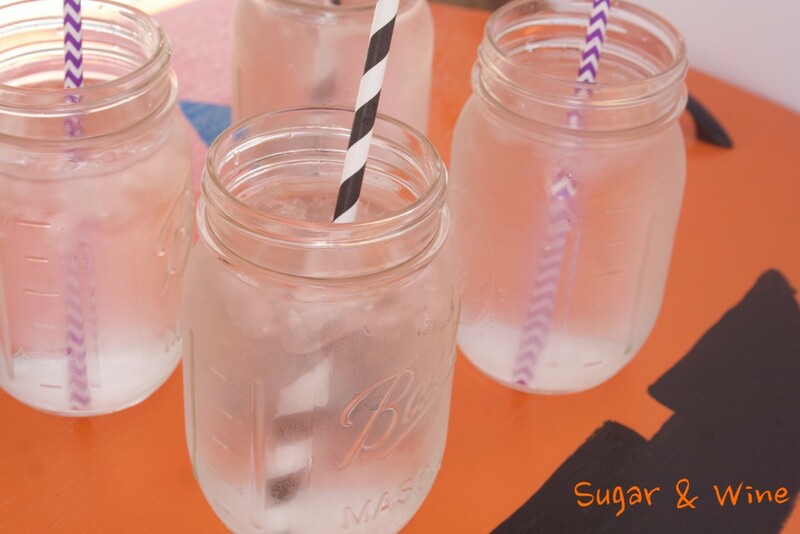 It is super easy and a great way for me to ease myself back into some DIY–ing. I’ve been seriously slacking in this department but I’ve been working on some home, fall and Halloween projects that I’m excited to share with you in the next couple of weeks. 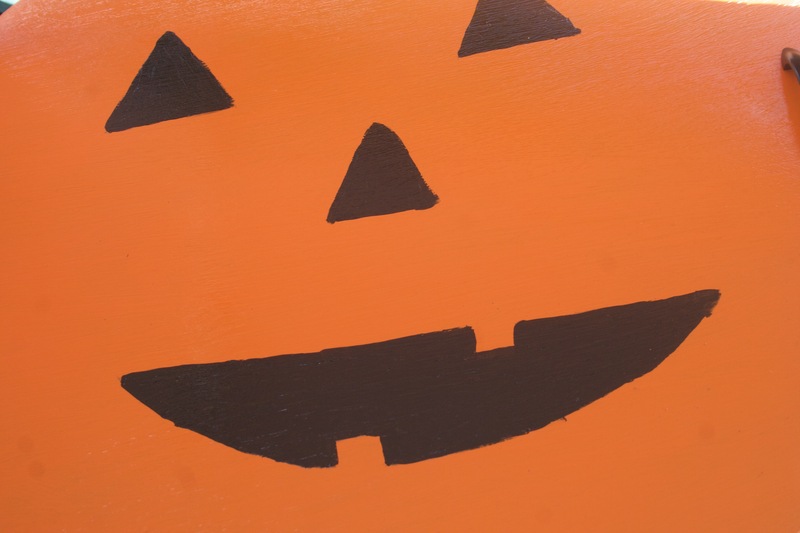 If you want to get started on your crafts for fall and Halloween, I promise I won’t tell! I didn’t have a circle piece of wood so I had to cut one using a jig saw. 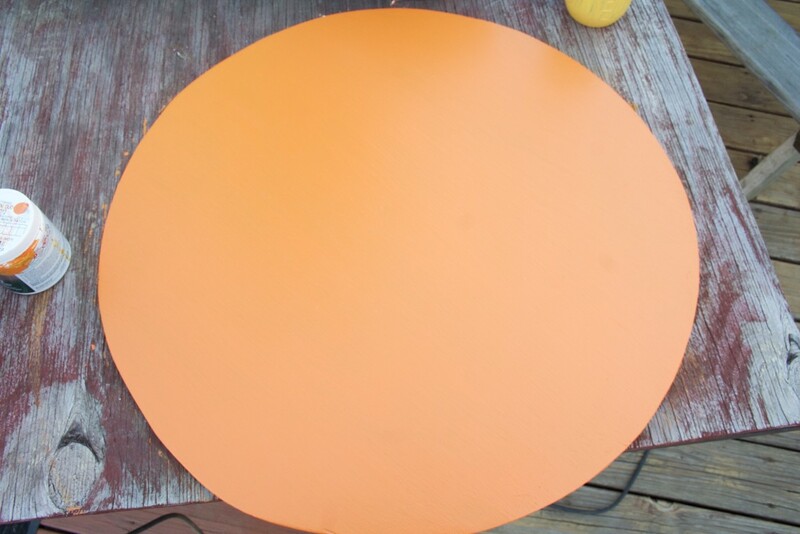 I picked up a square piece of plywood from Home Depot then traced a small side table. You could also trace other serving trays or drink buckets. Mine is a little larger, about 1 1/2 feet wide. Next, I sanded it until it was smooth. Then, I painted three times to make sure it was coated. 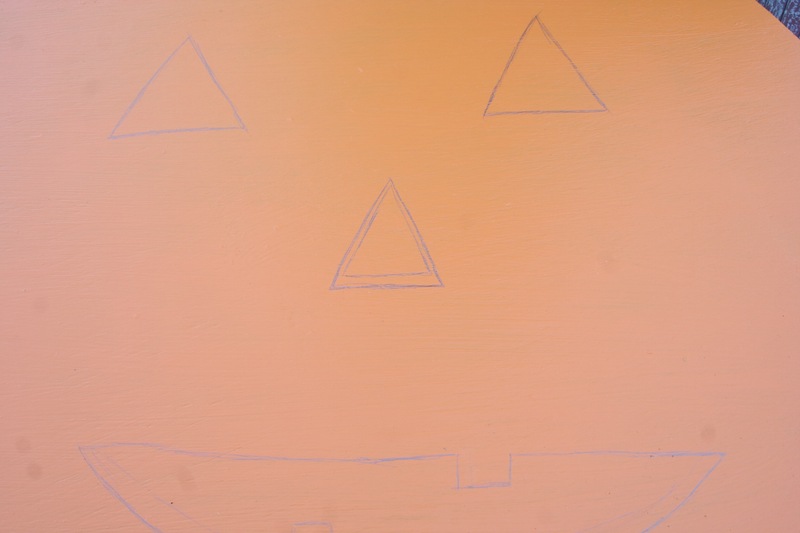 Once it is painted, it is time to draw the pumpkin face. It doesn’t have to be perfect. And, if you have to make them a little bigger, that’s fine too because the black will cover it up. Now it’s time to paint the features of the face with black paint and a small brush. 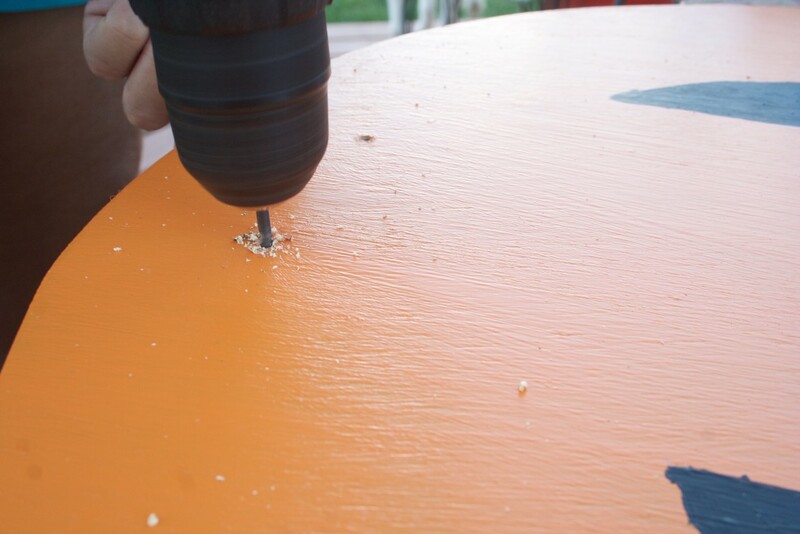 Once dried, spray the board with the lacquer, following the directions. I sprayed it three times. This will seal the painting and give it a little more durability. 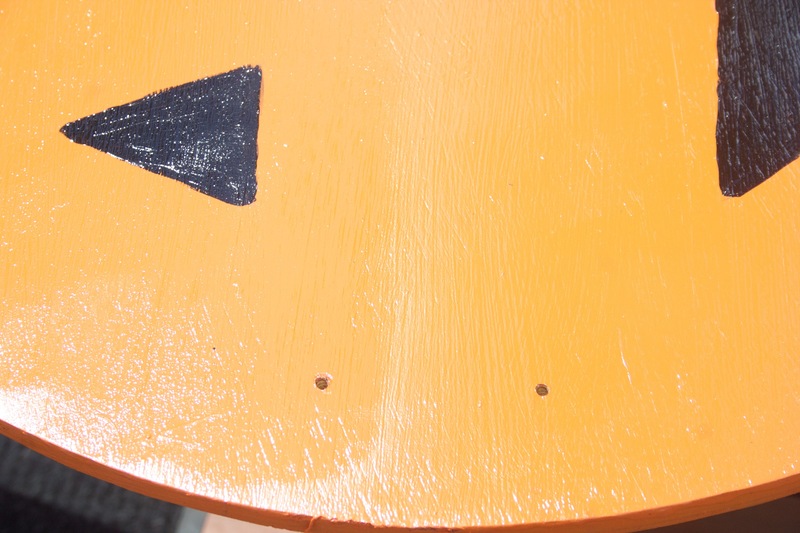 While the board is drying, spray paint the handles black and let them dry. Then repeat if necessary. 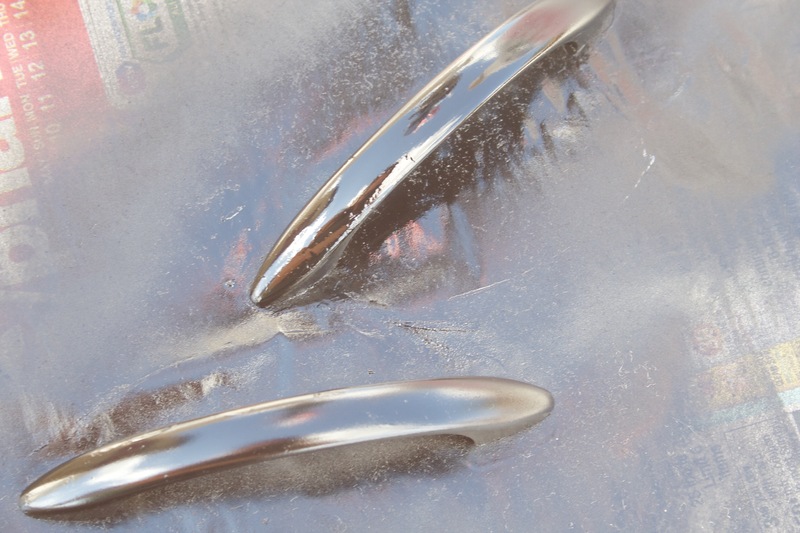 You can buy black handles and skip this step but I had these on hand so I’d just spray painted them. Next, position the handles where you want them to go. The type of handle I had required me to drill holes first and put the screws through the bottom. However, other handles are drilled in from the top. Honestly, doing it again I would do the top screws. It would be a lot easier. Attach the handles. And, you are finished!